Do you want to see finer details of a Mp4 file? Mp4 Explorer utility makes this all easy. Just load any Mp4 in this utility to see detailed information of selected mp4 file like version, compatibility, coding, flags, duration, time scale, tracks, smaple count and much more. 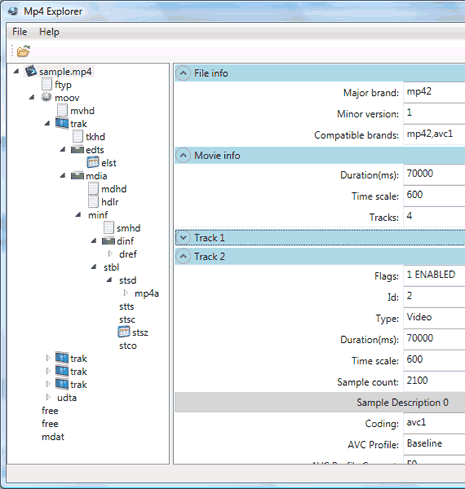 It is a handy tool to inspect on each and every composition detail of a Mp4 file at hand.